Meunier joined Nissan Europe in 2002 after experience with France, Rover and Mercedes-Benz. MUNICH – Former Nissan Europe sales boss Christian Meunier will move from the U.S. to head the automaker's Brazilian operations, effective April 1. 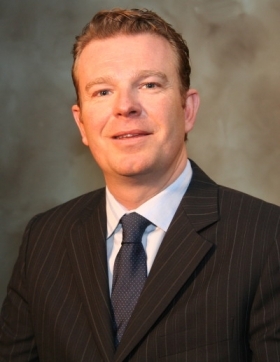 Currently, Meunier, a Frenchman, is marketing boss for Nissan brand in the United States. Meunier joined Nissan Europe in 2002 after gaining extensive experience with Ford France, Rover France and Mercedes-Benz USA. He was appointed Nissan Europe's vice president for sales operations in 2006 and a year later moved to the U.S.
Meunier's promotion leaves Nissan's U.S. marketing post empty at a critical time for the brand in the North America. The company is formulating a late-2010 launch of the industry's first mass-production zero-emission family sedan, the Leaf. No successor has been named to Meunier as vice president of Nissan-brand marketing at Nissan North America Inc.
Meunier's boss, Brian Carolin, senior vice president for North American sales and marketing, will directly oversee Nissan-brand marketing until Meunier is replaced, the company said. Meunier is stepping into a vacancy created as Nissan Brazil President Thomas Besson relocates to Nissan Motor Co. headquarters in Yokohama to become general manager of corporate planning. That post is being vacated by Takashi Sakagami, who in turn has been named general manager for new zero-emission businesses.